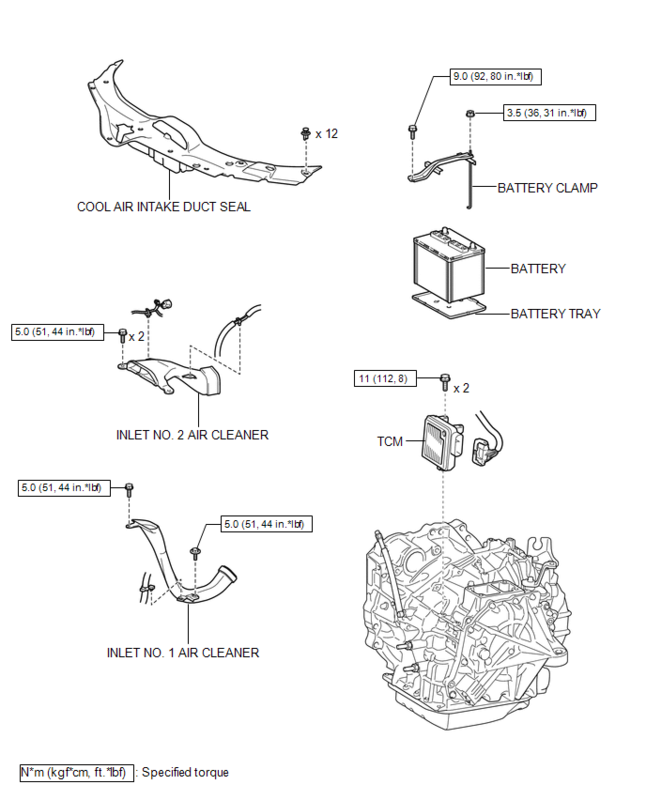 If automatic transmission parts are replaced, refer to Parts Replacement Compensation Table to determine if any additional operations are necessary (See page ). 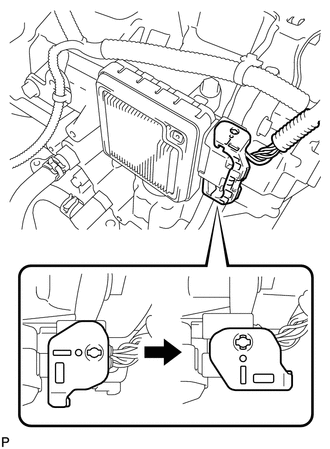 (a) Turn the lock lever and disconnect the connector from the TCM. (b) Remove the 2 bolts and TCM from the transaxle. (a) Install the TCM to the transaxle. 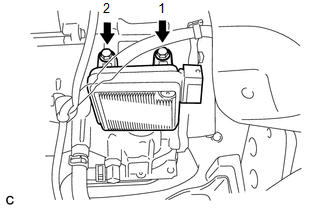 (b) Install and tighten the 2 bolts in the order shown in the illustration. (c) Connect the connector to the TCM. 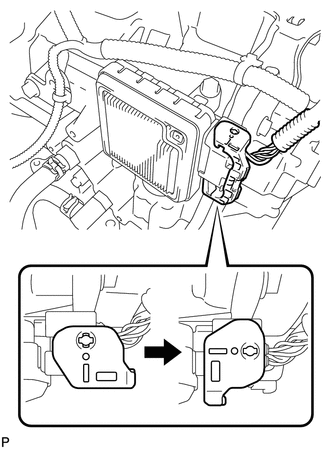 (d) Turn the lock lever and secure the connector with the lock lever. If automatic transmission parts have been replaced, refer to Parts Replacement Compensation Table to determine if any additional operations are necessary (See page ).